King’s Cross is full of good places to eat these days, who’d of thought it? No longer is it just McDonalds and Noodle King taking the trade. The game has changed people and there are plenty of eating and drinking destinations housed in the new developments with more on their way. 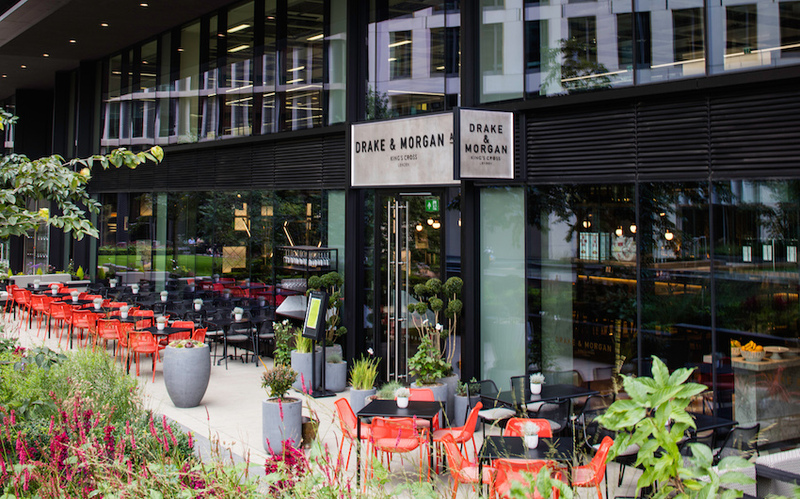 Drake & Morgan, set between St. Pancras International and Central St. Martins is the newest addition. Two floors serving food from breakfast through to dinner with a menu featuring small plates, grills and larger dishes – basically something for one and all, no matter what you’re there for. Highlights for us were the crab fritters with sweetcorn and chilli, the market fish, with Cowboy Fries, that’s skinny chips coated in their own secret BBQ sauce and BBQ Pineapple – because sometimes you gotta run with the BBQ theme. Whether you are up for an evening hangout, quick dinner or just want a coffee and to plug in your laptop, Drake & Morgan ticks all boxes.